It’s no secret that I don’t have enough money to live on. Just as a refresher…my disability income is $733/month and my rent in a HUD subsidized, senior, handicap-accessible apartment is $550….or 75% of my income. Yikes! I also get $98/month SNAP for food, but that only gives me $1.05 per meal. I suppose I should quit feeling the obligation to explain and justify myself, but I wrote this on my blog…. Poverty rate is $11,880 for individuals. I get $8,796 in disability and $1,176 in food stamps each year, giving me an annual income of $9,972….still under the poverty threshold. I was reading articles about poverty this morning, so decided to do the numbers. $6,600 of my income goes for rent, $900 tithing, $727.68 for internet….that’s $8,237/year for my top three expenses. That leaves me $568 a YEAR to spend on laundry, haircuts, doctor and medicine co-pays, cat food and litter, clothes, shoes, household supplies, and whatever else needs buying. Figuring out income and expenses by the year always seems even more dramatic than by the month. No wonder I feel so poor! I am. Imagine yourself living on that much money. How would you feel? What would you do? Could you scrape by? How? I am always trying to figure out those answers. So, I get by with a little help from my friends. 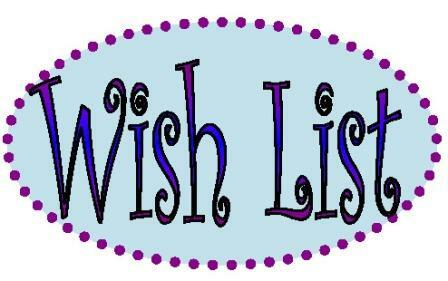 I put up a wish list and folks with the means to help me out, send me something from my list. I hate having to add this disclaimer, but please don’t buy me things not on my wish list. I only add what I particularly need or want. When I get sent random stuff…it’s heartbreaking. You wasted your money and I usually end up giving the random things away. Then people who thought they were being nice, get mad at me. Let’s not go there. Things that are frequently on my list are toilet paper, kleenexes, certain soaps, cat food, cat treats, cat litter, over the counter meds that my docs want me to take, etc. For the most part, there are reasons why I choose particular brands or types of goods. Both the cat and I have our sensitivities. She has a non-stop runny eye on cheap cat food and sneezes a lot. She does much better on grain free cat food. For me, I take after my mother. I seem to be allergic to or sensitive to everything. I have to pick out things that will touch my skin or that I will breathe in, with care. I am not being a snob. It’s self-protection. Well meaning people sometimes get angry with my choices. If you feel that way about me, I suggest you choose a local battered women’s shelter or other charitable organization to contribute to. The world is full of people needing help. I am one of millions of people hoping for a helping hand. There are lots of people out there who will love what you want to donate. The best treat would be a spoonful of strength and energy from those who have more than enough. Too bad that cannot be transferred!